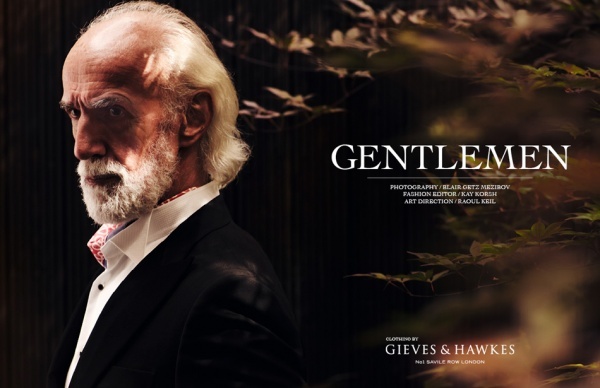 Check out an intriguing behind the scenes tour of the making of the advertorial “Gentlemen” by Gieves & Hawkes that was featured in the newest issue of Schön! Magazine below. In the video, Blair Getz Mezibov (photographer) narrates his passion for fashion photography, and shares his thoughts on suits being appropriate for all ages. This entry was posted in Feature, News, Uncategorized and tagged Gieves Hawkes. Bookmark the permalink.